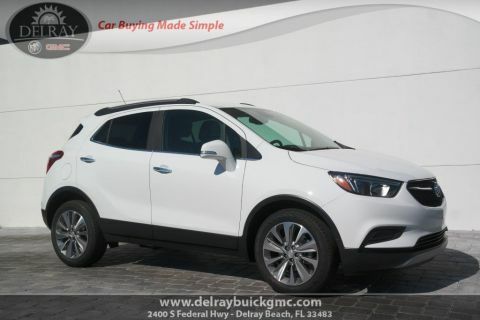 The new Buick Encore is always ready for the next adventure. 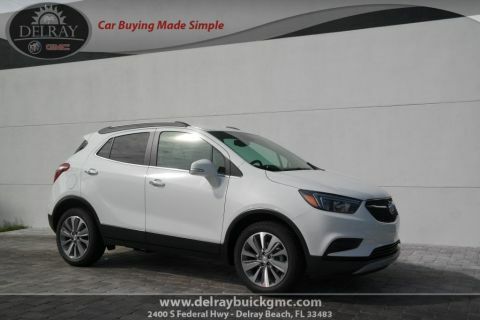 If you’re searching for a vehicle that offers versatility, efficiency, and modern style, don’t look any further than the new Buick Encore. This compact SUV may look small on the outside, but inside it offers a surprising amount of space, with up to 48.4 cubic feet of cargo capacity. 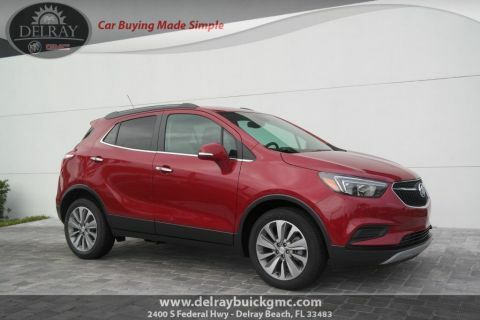 With the new Encore, you’re ready for any adventure, whether it’s commuting to Boca Raton, shopping in West Palm Beach, or meeting friends in Boynton Beach. 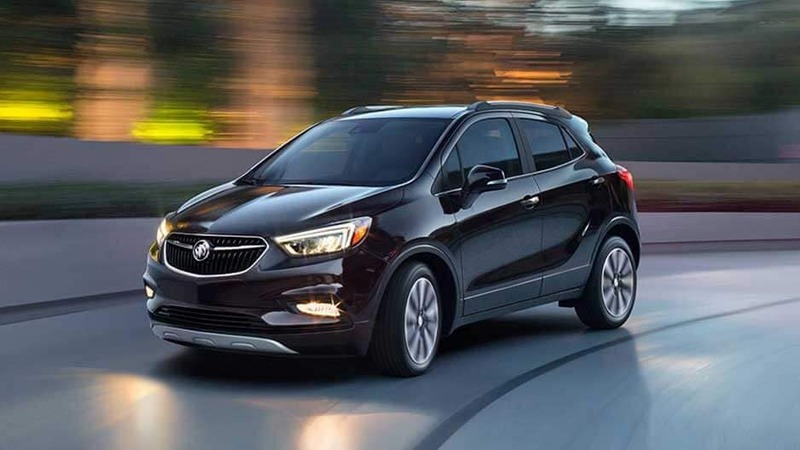 Even from a distance, the new Buick Encore ensnares your attention. 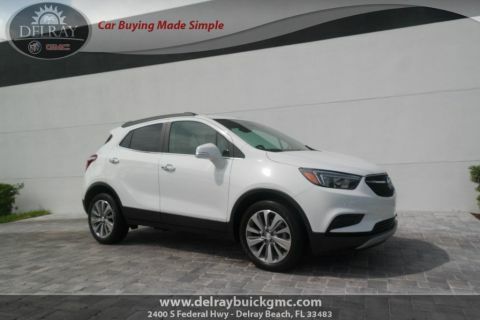 Cutting a striking silhouette with its aerodynamic façade, bold stance, and LED daytime running lights, the Encore delivers the sleek modern style you crave. You don’t have to just take our word for it though. 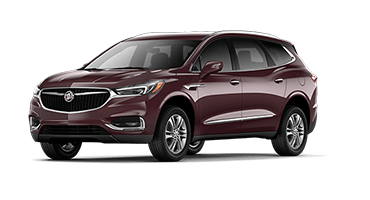 Experience this majestic crossover for yourself, with a test drive at Delray Buick GMC in Delray Beach. 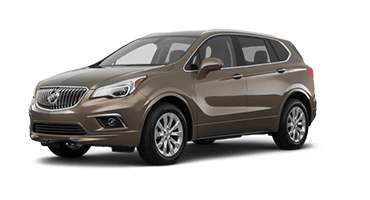 The new Buick Encore is the ultimate city-living SUV. Its compact size makes it easy to fit in any parking spot, while its athletic stance and aerodynamic shell ensure it stands out in a crowd. Wherever you go, all eyes will be on you. 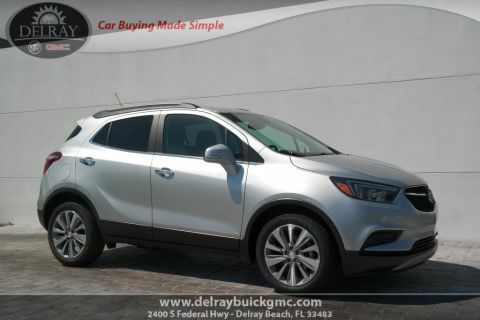 Sleek and smooth, the aerodynamic body of the Encore ensures excellent fuel economy while preserving the modern style you crave, while the sculpted front end announces your arrival wherever you go. Get your daily dose of vitamin D with the shaded power moonroof. Just the touch of a button is all it takes to open, allowing fresh air and sunshine in. If it’s too bright, then simply press the power sunshade button to block it out. Always enjoy a clear view of the road ahead with the Encore’s Rainsense Automatic Wipers, which turn on automatically when they detect moisture on your windshield. The sensors even detect how fast the wipers need to be going to keep visibility clear. With available LED accented headlamps in the new Encore, you’ll have bright, clear lighting for the road ahead. You’ll also benefit from LED daytime running lights, so you’re visible in every setting. 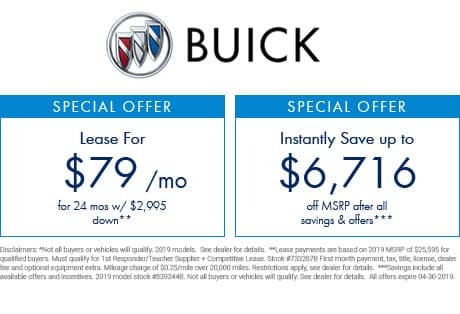 Striking in style, the Encore is adorned with the signature chrome waterfall grille and tricolored badge, representing Buick’s legacy as the forerunner in luxury vehicles. 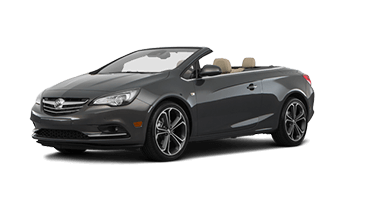 The Encore’s 18” wheels are available in a unique 10-spoke design with a light argent finish that help you make an impression and stand out. 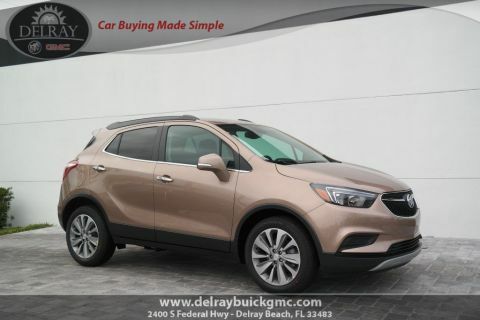 Whether you’re cruising through the city or adventuring on the back roads, the new Buick Encore has the style and comfort you want. 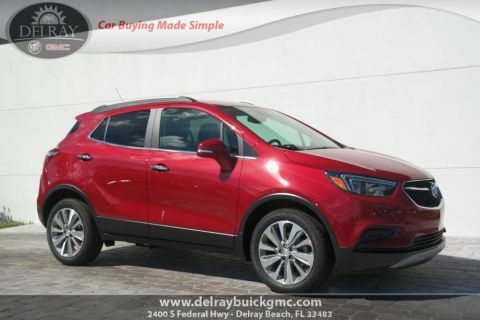 Despite its small size, the Encore is versatile, offering up to 48.4 cubic feet of storage space when the rear seats are laid down, so you’re set no matter where you’re headed. 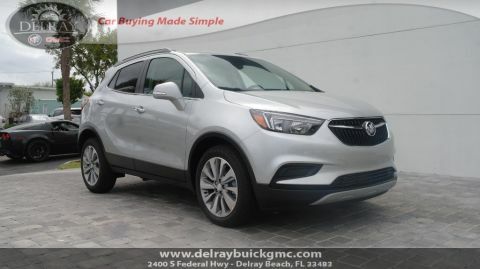 Despite being a compact SUV, the new Buick Encore offers plenty of space to bring the things you need along for the ride. Lower the 60/40 split-fold seats and unlock up to 48.4 cubic feet of storage capacity, more than you would expect from a city-sized vehicle. Your ride on chilly mornings becomes enjoyable with the Encore’s heated front seats. All it takes is the touch of a button to activate the leather cushions to your preferred temperature setting. 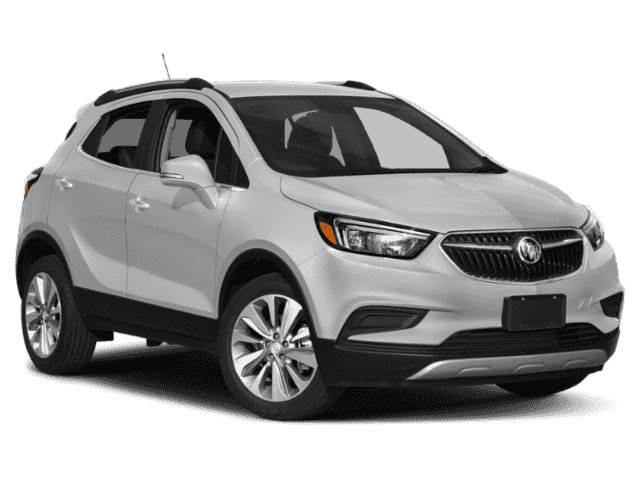 You and your front passenger may not always agree on a temperature; thankfully, with the new Buick Encore, you don’t have to. Enjoy freedom to set your own temperature with dual-zone climate control, and take satisfaction in knowing both of you are comfortable agreeing to disagree. Chase the chill away, and keep your hands nice and toasty with the leather-wrapped, heated steering wheel – because true luxury is being completely comfortable no matter the weather. Enjoy being able to hold a conversation or listen to music without the distraction of outside noise and vibration. QuietTuning technology utilizes triple door seals, an acoustic laminated windshield, and specific suspension tuning to ensure your ride remains peaceful. Impress your friends every time you spend a night on the town with the Encore’s plethora of advanced technology features. 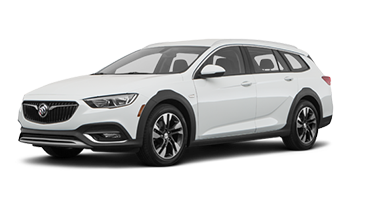 With amenities such as 4G LTE Wi-Fi®, Buick Infotainment System, and Bose® Premium Audio, you’ll be everyone’s go-to driver. News may travel quickly, but you never have to worry about missing anything with available 4G LTE Wi-Fi in the Encore. Connect up to 7 mobile devices and ensure you and your friends are staying in the loop. 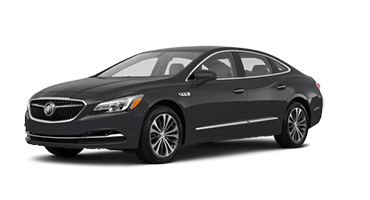 Enjoy having your favorite apps in easy reach with the Buick Infotainment System. 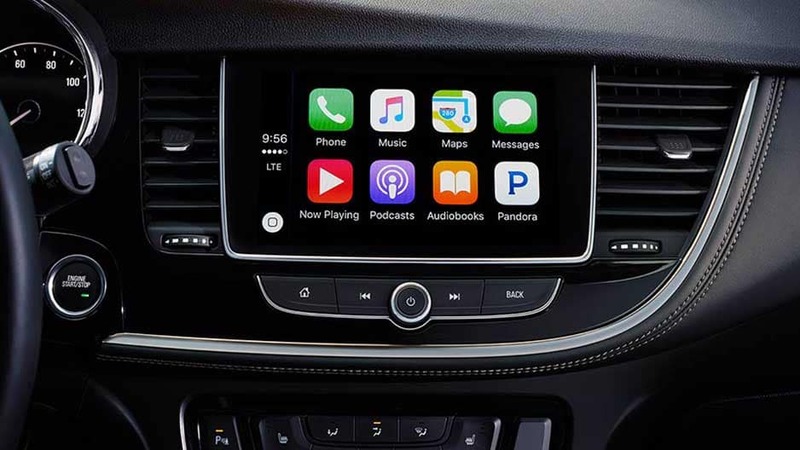 Sync your mobile device via Apple Car Play™ or Android Auto™ and the 8” touchscreen will provide convenient access to hands-free calling, streaming music, and map navigation. Download the myBuick app and enjoy the convenience of monitoring your Encore right from your phone. See where you last parked, remote start your SUV, check data usage, and so much more, right from the palm of your hand. No matter where the road takes you, allow crystal-clear audio to keep you entertained. With a strategically-placed Bose 7-Speaker Premium Sound system throughout the Encore’s cabin, you’ll enjoy concert-quality music wherever you’re sitting. As if reversing in the Encore wasn’t easy enough, Buick makes it even simpler with the Rear View Camera. Simply place the Encore in reverse and the 8” touchscreen switches to a live feed of the area immediately behind you, complete with dynamic guidelines to ensure you don’t bump into anything. 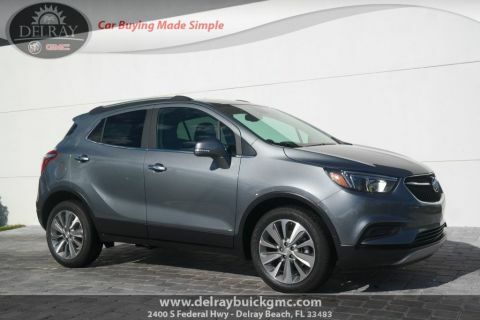 As you’re dominating city roads, you can trust the new Buick Encore to keep you safe and alert while you drive. 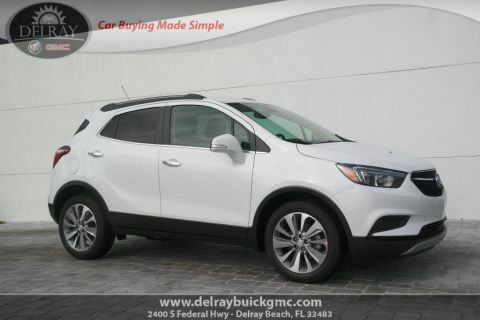 Offering the latest in advanced safety features, including Forward Collision Alert, Lane Departure Warning, and Rear Cross Traffic Alert, the Encore works hard to keep you and your precious cargo safe. This available system helps you stay alert to traffic ahead of you, by monitoring how closely you’re following a detected vehicle. If it senses a front-end collision is imminent, it will sound a warning using both visual and audio cues. 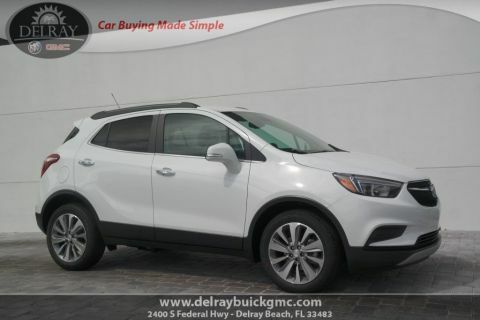 With this available safety feature, the Encore senses when you’re unintentionally drifting out of your lane, and warns you with audio and visual cues so you can get back on track. Reverse out of tight parking situations without the stress thanks to Rear Cross Traffic Alert. 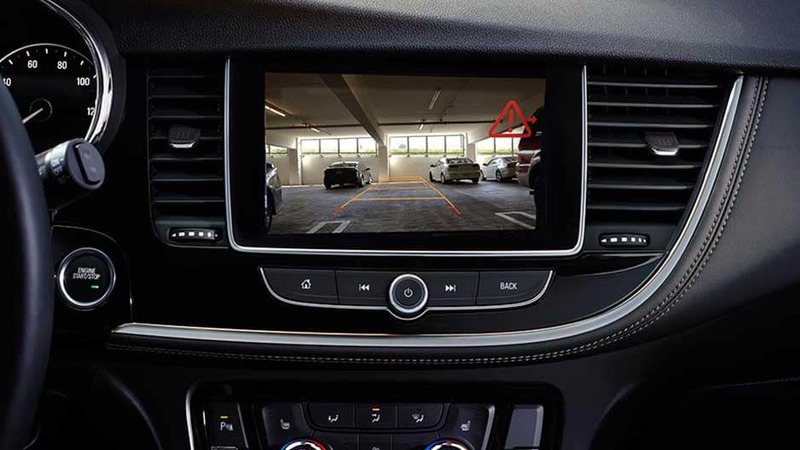 This available system uses ultrasonic sensors to detect if vehicles are approaching behind you which you may not be able to see, warning you with alerts on the Rear Vision Camera. Change lanes with peace of mind thanks to Side Blind Zone Alert, which provides you with side mirror alerts when there is a vehicle in your blind zone, helping to avoid lane change collisions. You can always rely on the Encore to have your back with OnStar Automatic Crash Response. In the event of an accident, an OnStar agent will contact you immediately to ensure your safety, and will alert emergency personnel if you’re unresponsive. 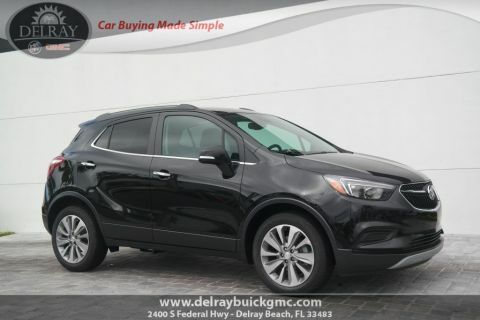 Precision handling and exceptional efficiency await every time you get behind the wheel of the new Buick Encore. 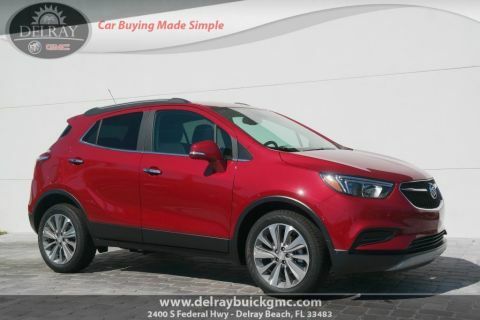 Boasting a turbocharged engine, the Encore is capable of 33 MPG on the highway, meaning less time at the pump, more time owning the road. 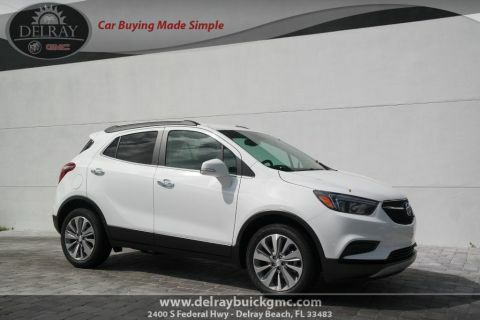 The Encore may look like a compact SUV, but under the hood you’ll find an impressive Turbocharged engine kicking out 138 horsepower and 148 lbs. of torque, capable of achieving up to 33 MPG on the highway. 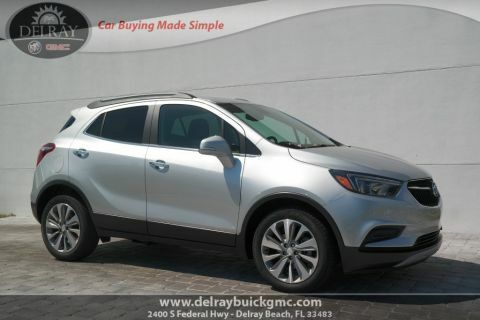 Tackle any terrain with the new Buick Encore featuring All-Wheel Drive. This intelligent system maximizes traction in even the most slippery weather conditions, sending power to the wheels with the most grip so you can stay in control. With this available system you’ll experience enhanced control, even during emergency maneuvers. By adjusting the brakes and engine torque, StabiliTrak ensures you stay on your intended path, even in poor weather conditions. 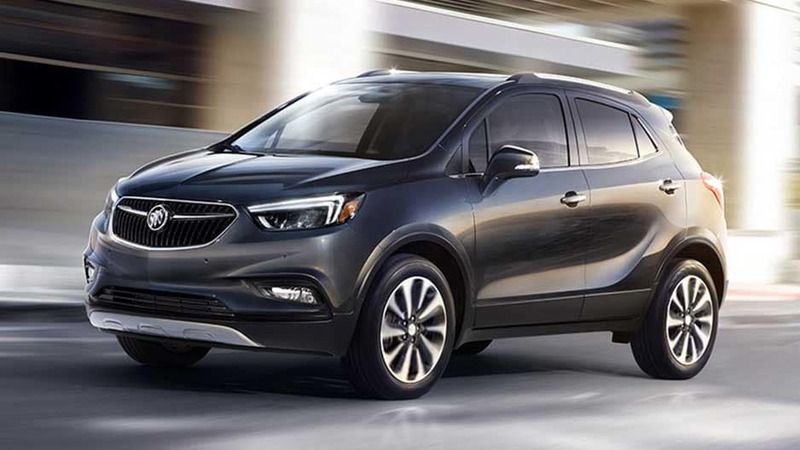 Never worry about wheel lockup with the Buick Encore’s 4-Wheel Antilock Disc Brakes. These brakes help you remain in control during sudden, hard braking situations on most slippery surfaces. Cut back on how often you fill up thanks to the new Encore’s stop/start technology. 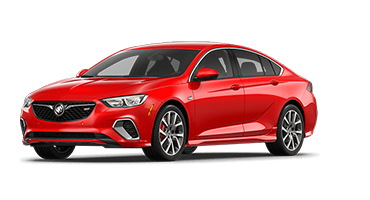 When you come to a stop in certain conditions, such as a red light, the Encore turns the engine off to preserve fuel, then restarts automatically when you lift your foot from the brake. Named a Top Safety Pick by IIHS. for Overall Crash Protection, Frontal Protection, and Side-Impact Protection. 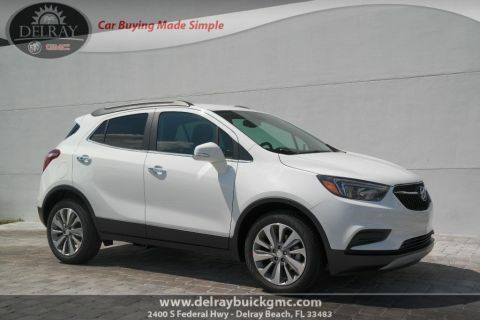 Take a seat in the new Buick Encore and let the majesty of this compact SUV surround you. 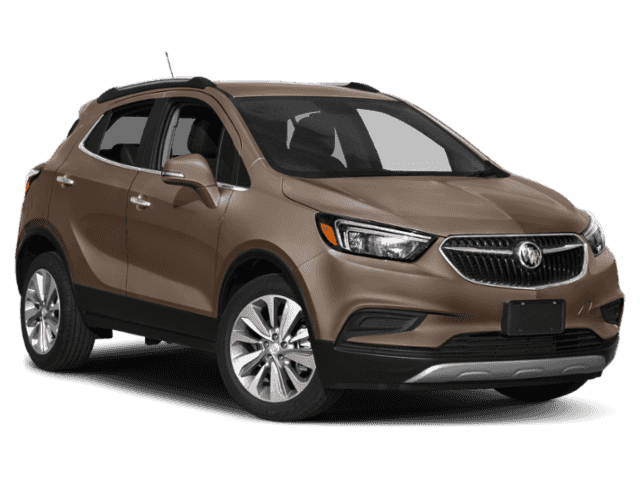 From plush leather seats to wood tones and chrome detailing, the new Encore takes luxury to the next level. You’ll be forgiven for wanting to take the long way home. 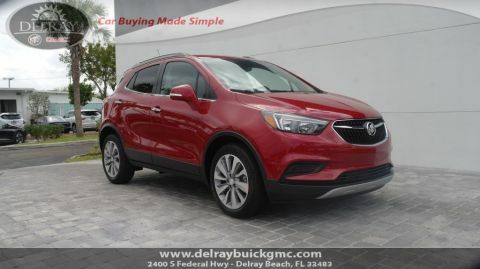 As if the comfort of the interior wasn’t enough, the new Encore also features the innovative Buick Infotainment System. Sync up your mobile device and play your favorite playlists as you cruise through the city, ensuring no drive is ever boring again. 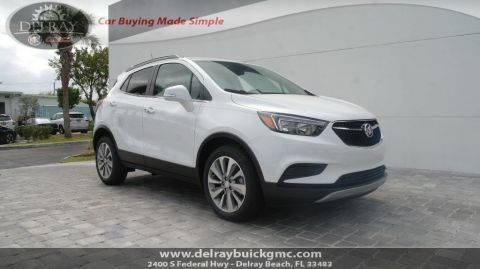 Stop in to Delray Buick GMC in Delray Beach today to take this innovative new crossover for a test drive.